Nominees will take part in a group test programme in Hannover, Germany, in March. IFOY 2019 Test Days jurors from all over Europe, Australia, Brazil, Russia and the USA will assemble at the exhibition grounds of IFOY partner CeMAT to inspect and test the nominated equipment. Among other things the innovation value, technology, design, ergonomics and handling, safety, marketability and customer benefit as well as economy and sustainability will be evaluated. The jury consists of 29 renowned journalists from leading logistics media in 19 countries, including Ireland, represented by Jarlath Sweeney (Fleet Transport/Handling Network). The Combi-PPT from Combilift shortlisted is a robust pedestrian pallet truck with a load capacity of more than 8,000 kilograms. 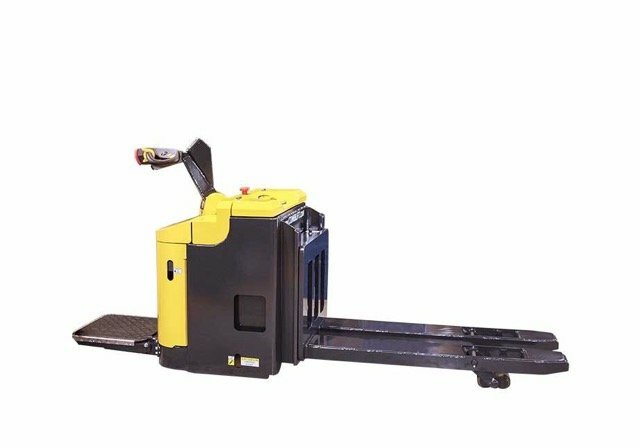 This high-performance vehicle, which has been developed to replace large and cumbersome ride-on forklifts, aims to impress with good visibility of the load, optimum safety and manoeuvrability as well as efficient operation in the narrowest areas. “A golden rule of the IFOY test series is that the finalists are not compared with each other in their respective categories but with their rival trucks or machines on the market. Only those nominees who outperform their direct competitors in terms of innovation have a chance of winning the trophy,” explained Anita Würmser, Chairperson of the IFOY jury. The trophies will be presented on 26 April, 2019 at the IFOY AWARDs Night, which will take place for the first time in the Hofburg in Vienna, held in cooperation with LOGISTIK.Kurier and the Austrian Chamber of Commerce. “More than 600 international guests are expected in the traditional Great Festival Hall in the Hofburg among them leading persons in transport, logistics and intralogistics. Until then the result will remain a secret – for both the finalists and the public,” she added.